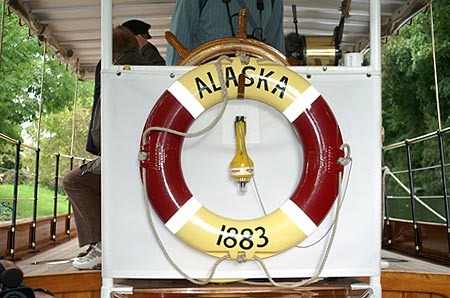 Alaska Header Page - this page! 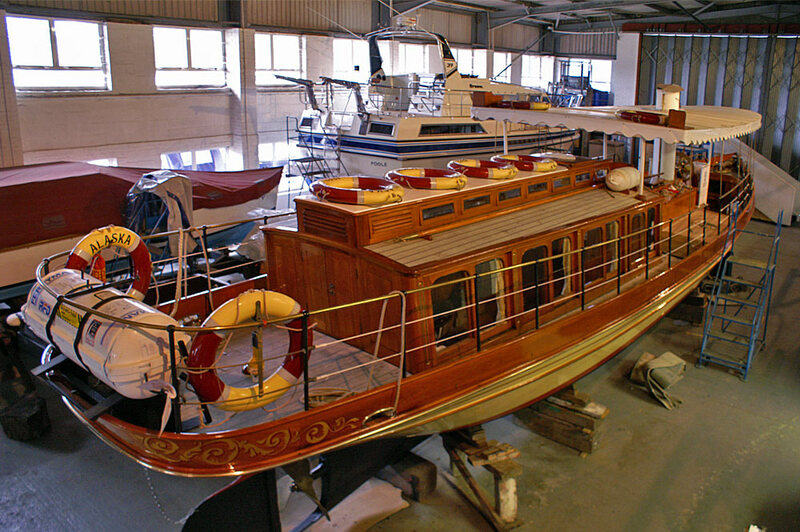 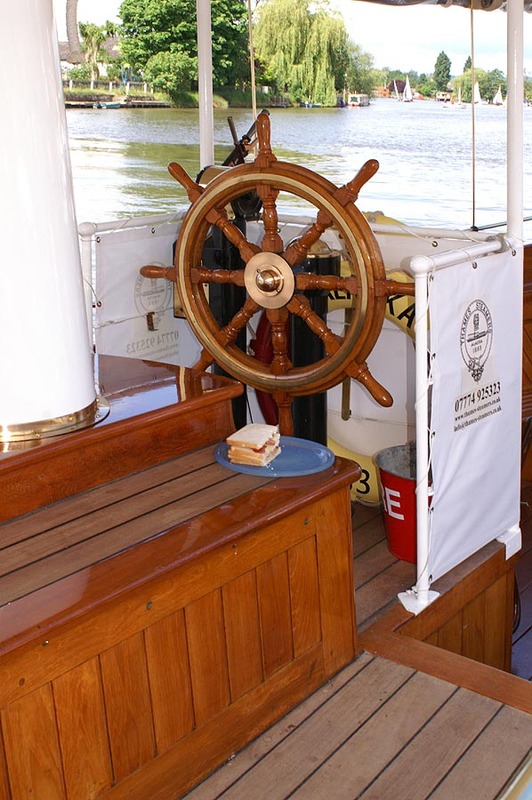 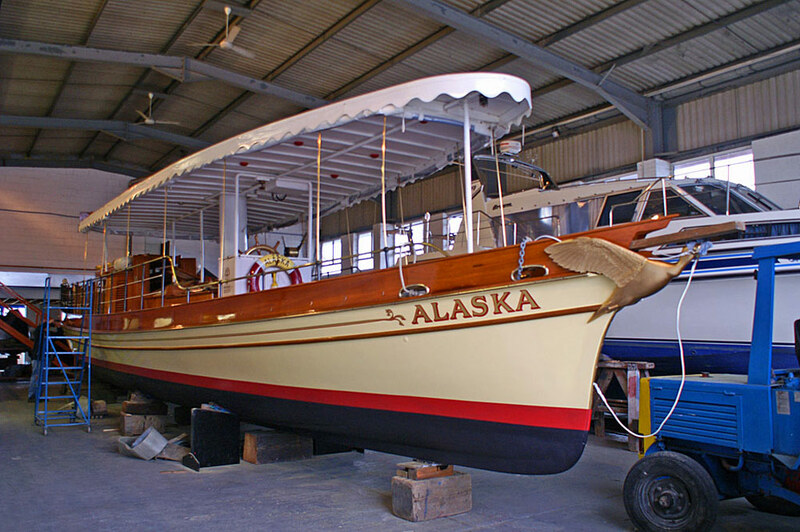 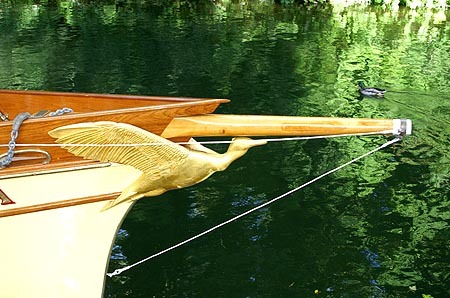 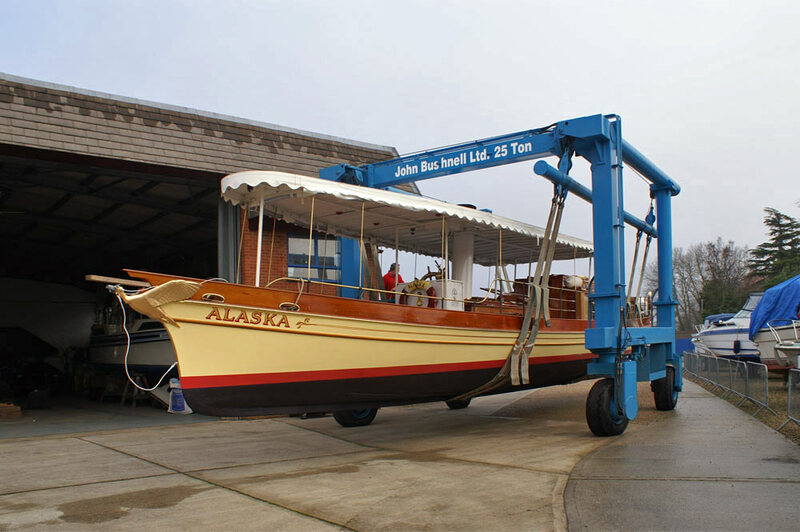 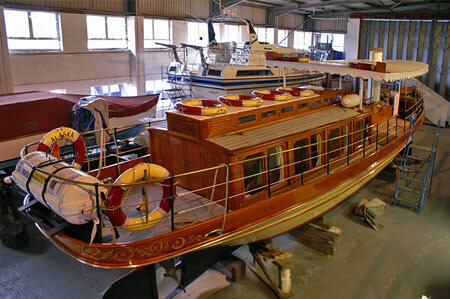 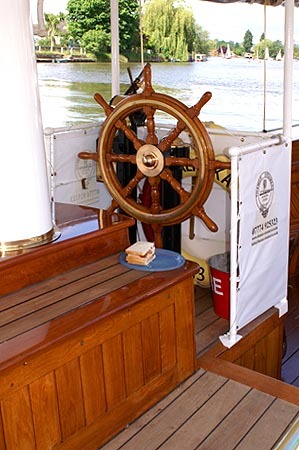 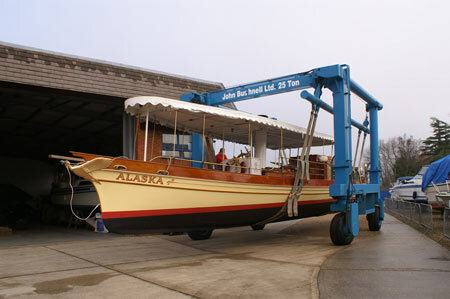 Dimensions: Alaska is 60' long, 9'6" beam and draws 3'2"
Construction: Alaska is constructed of double diagonal teak over oak frames, painted hull and highly varnished teak superstructure where appropriate. 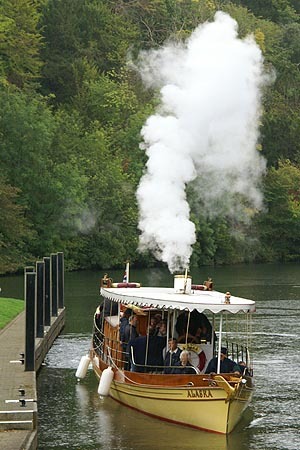 Engine: The original non-condensing steam engine by Seeking's of Gloucester which has two cylinders 6.5" in diameter and 7" stroke. 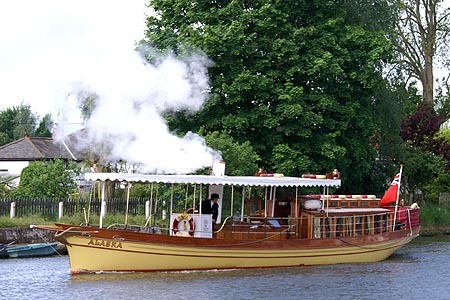 It is of a twin simple pattern with no expansion and steam used to push the pistons down and up, giving 4 power strokes per revolution. 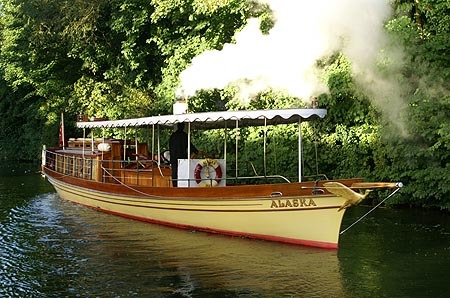 Boiler: Alaska has worn out 3 boilers during her life. 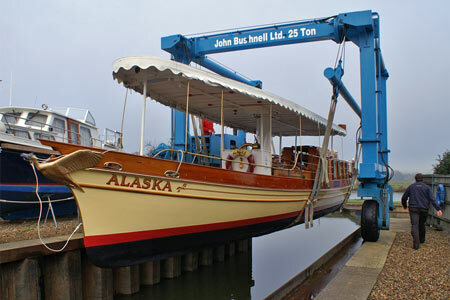 The current one was installed in 1982 and operates at up to 150 lbs per sq. inch pressure. 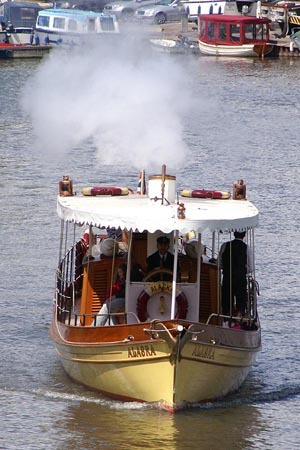 It is a side fired locomotive type with 101 fire tubes. 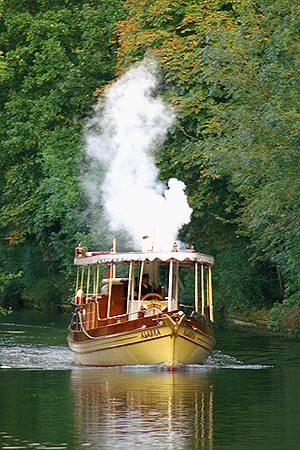 The boiler can be fired with coal but for environmental reasons is now fired with high density wood briquettes made from recycled waste sawdust and wood chips from manufacturing. 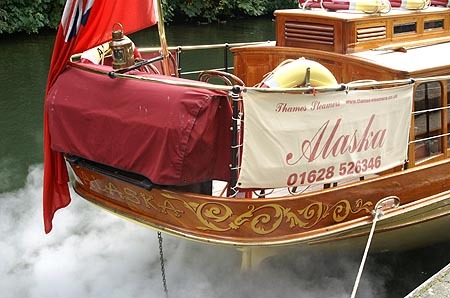 This makes 'Alaska' completely carbon neutral and saves approximately 15 tonnes of carbon dioxide emissions in a typical year. 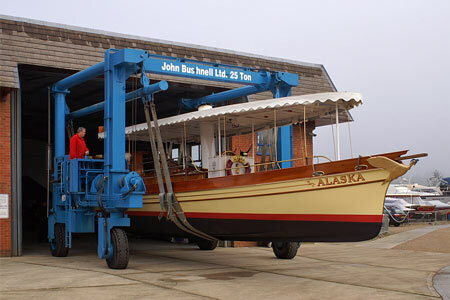 Weight: Alaska's deadweight is 20 tons. 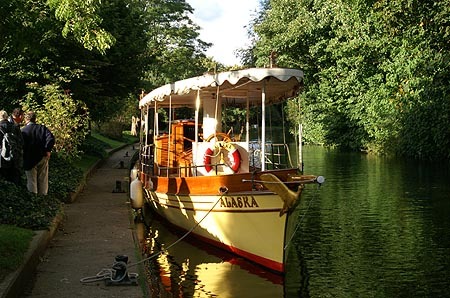 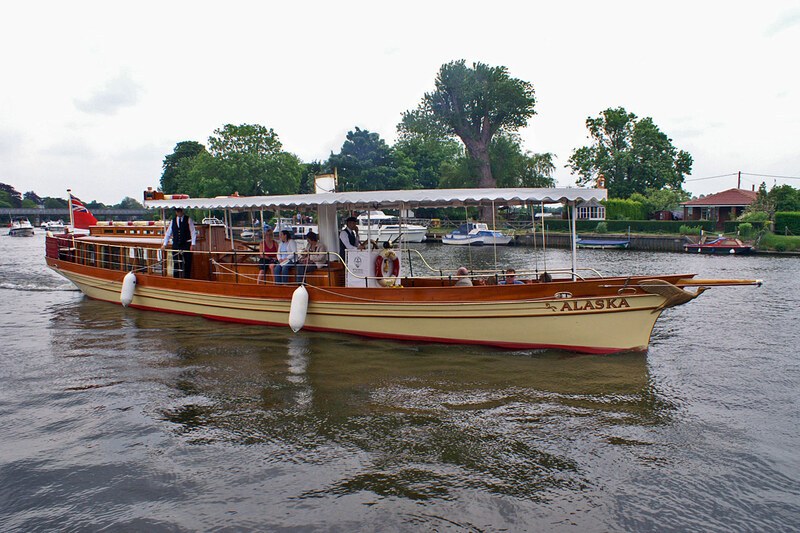 Alaska at Boulter's Lock, Maidenhead. 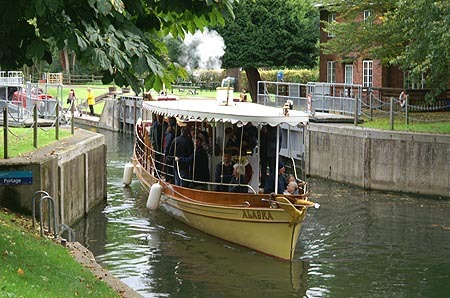 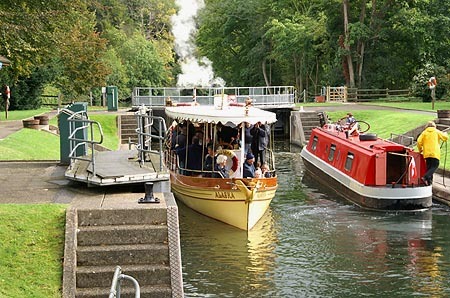 Alaska leaving Boulter's Lock, Maidenhead. 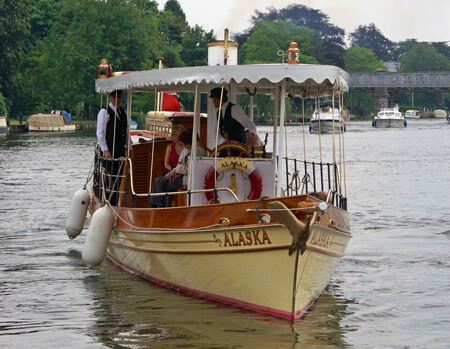 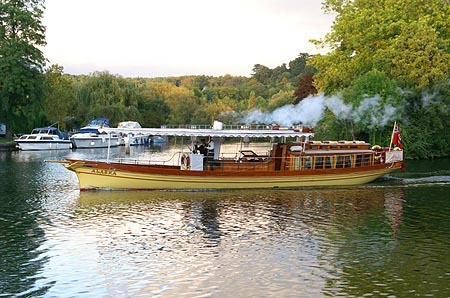 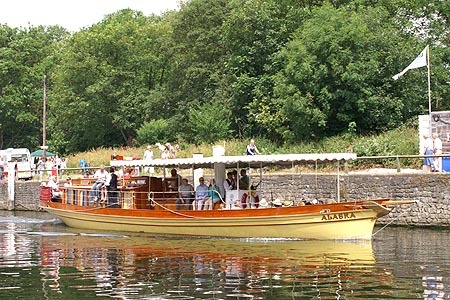 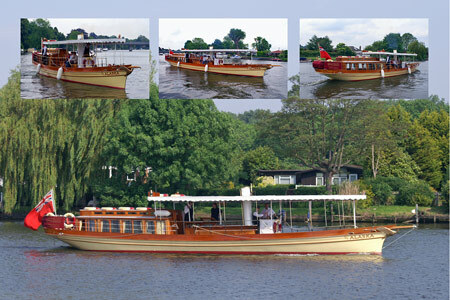 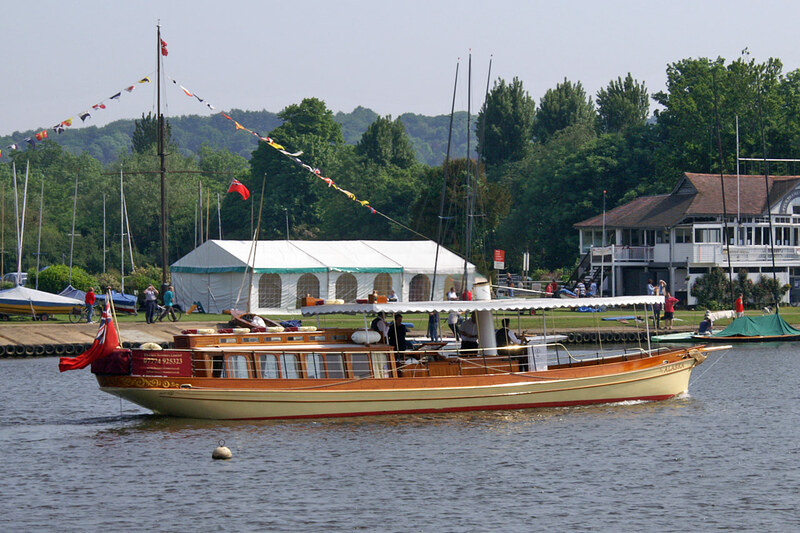 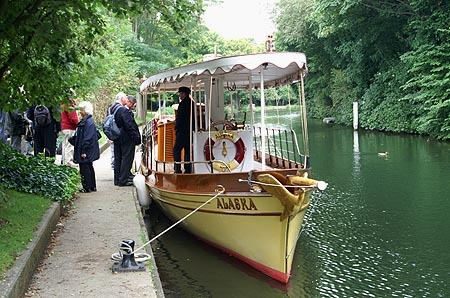 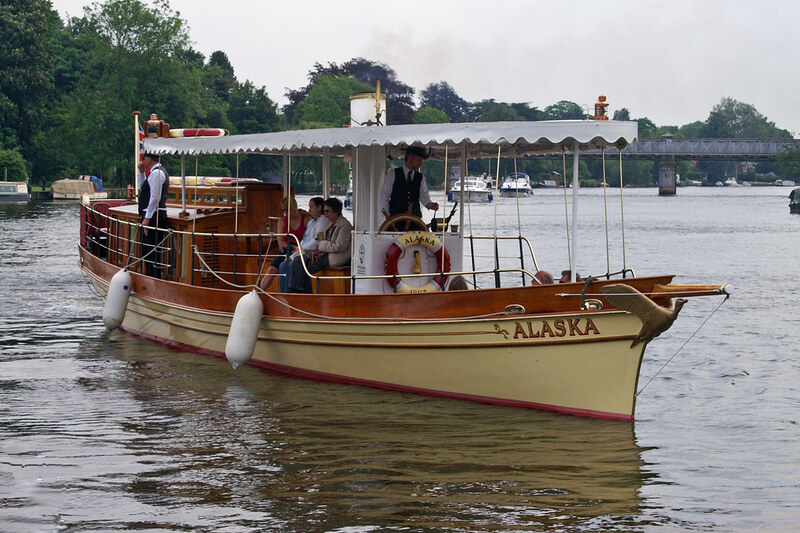 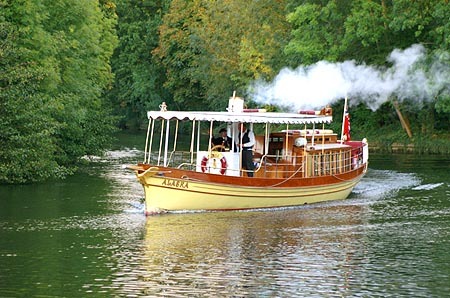 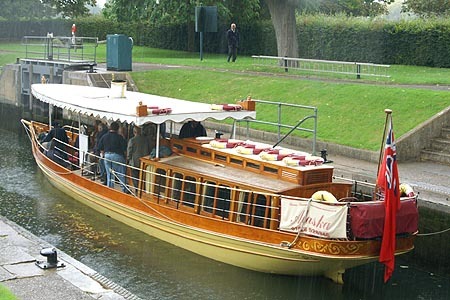 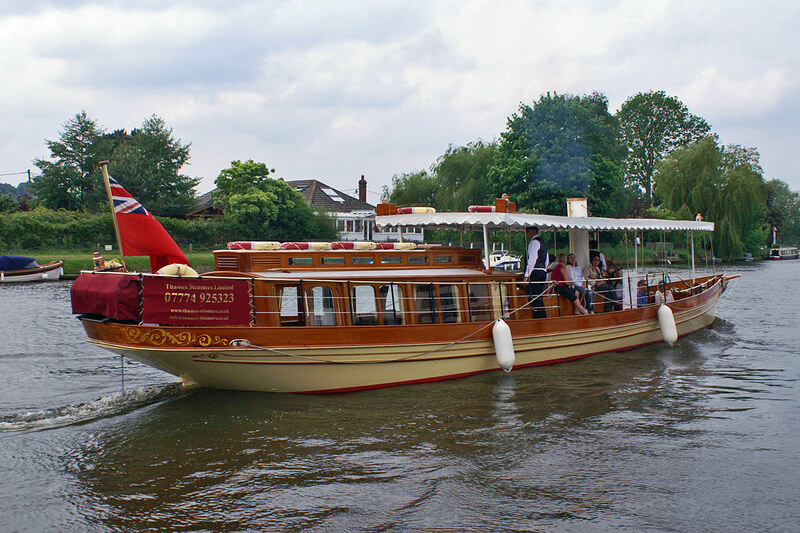 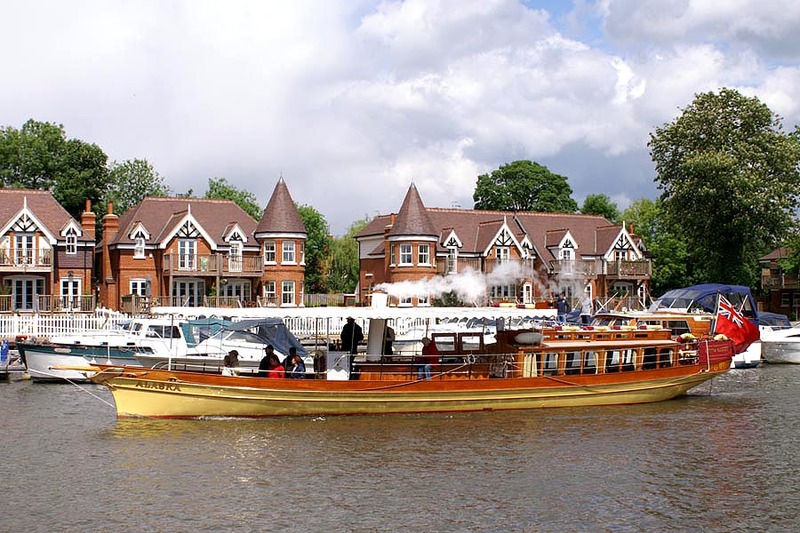 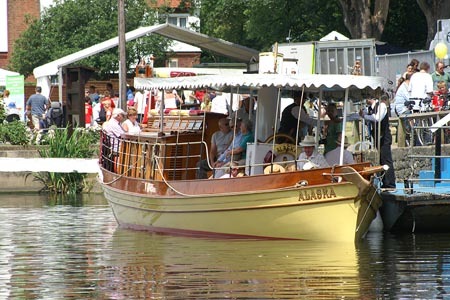 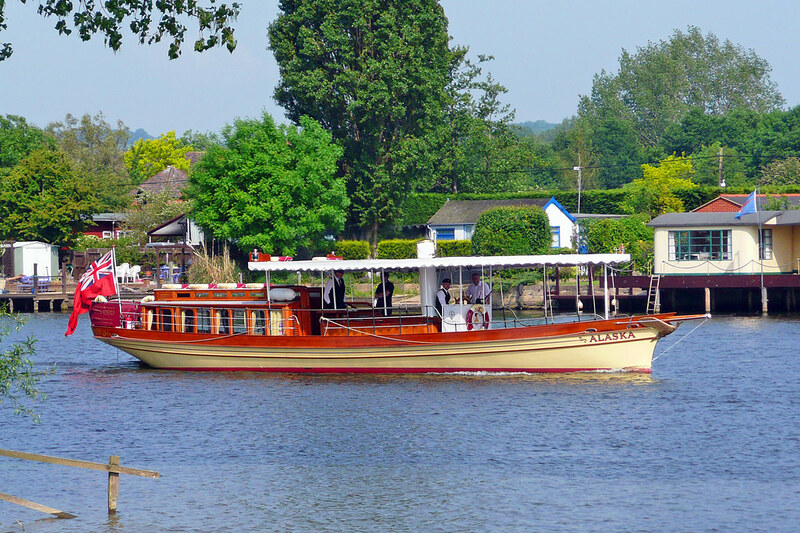 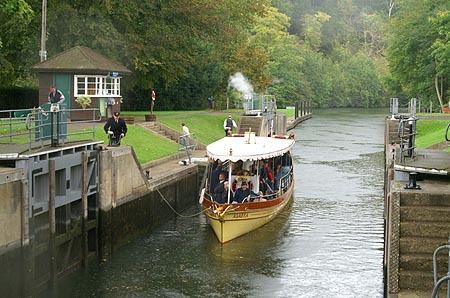 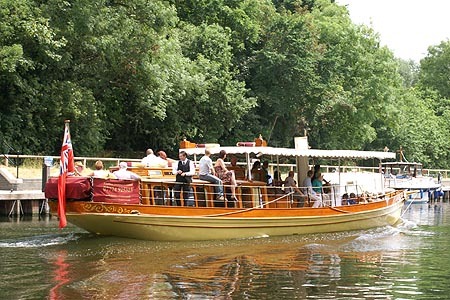 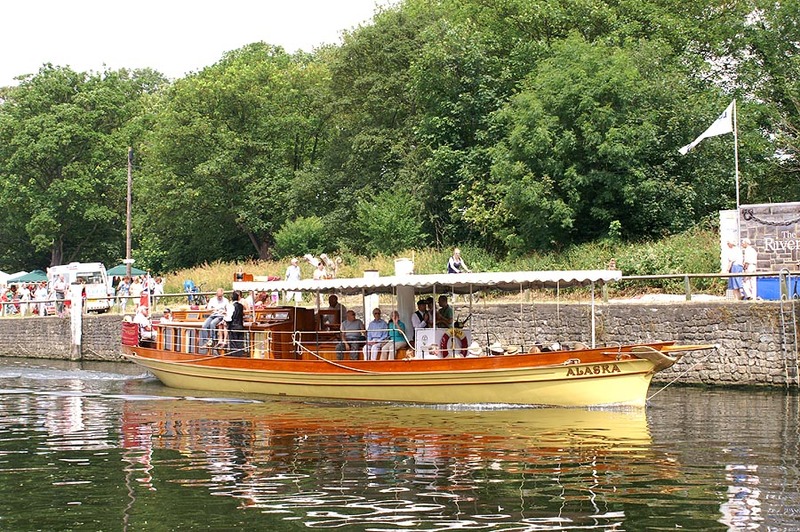 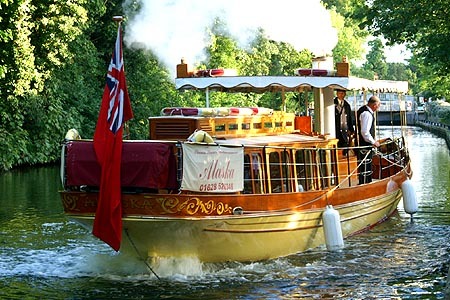 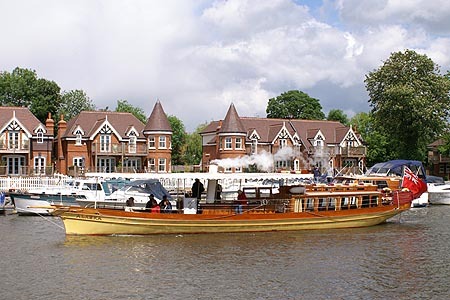 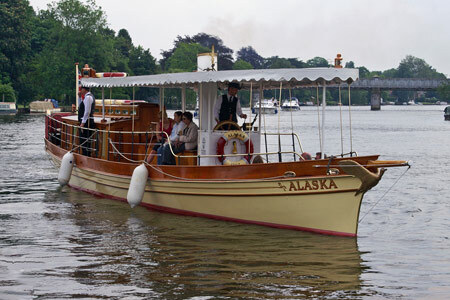 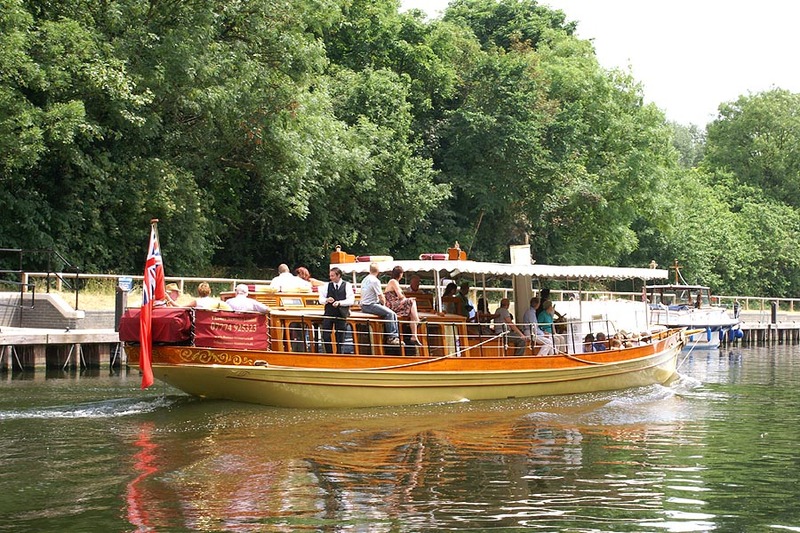 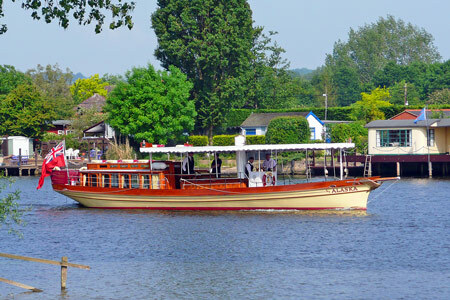 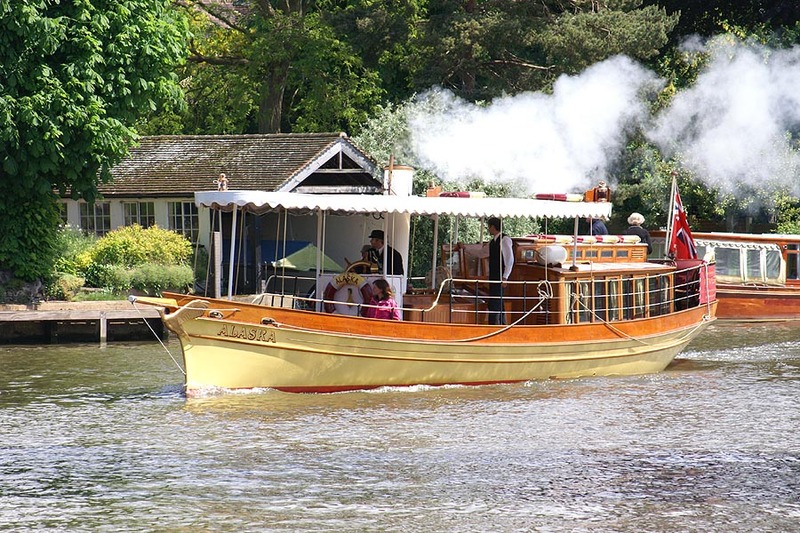 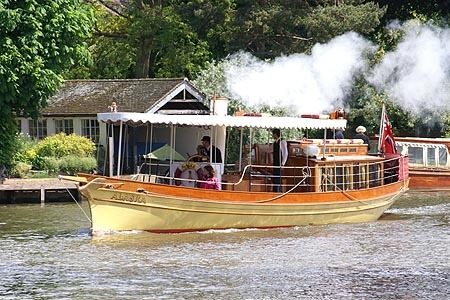 Alaska passing the Ferry at Cookham, after the cruise. 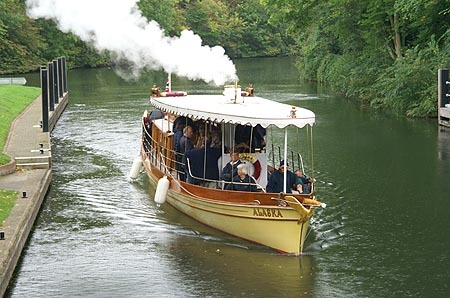 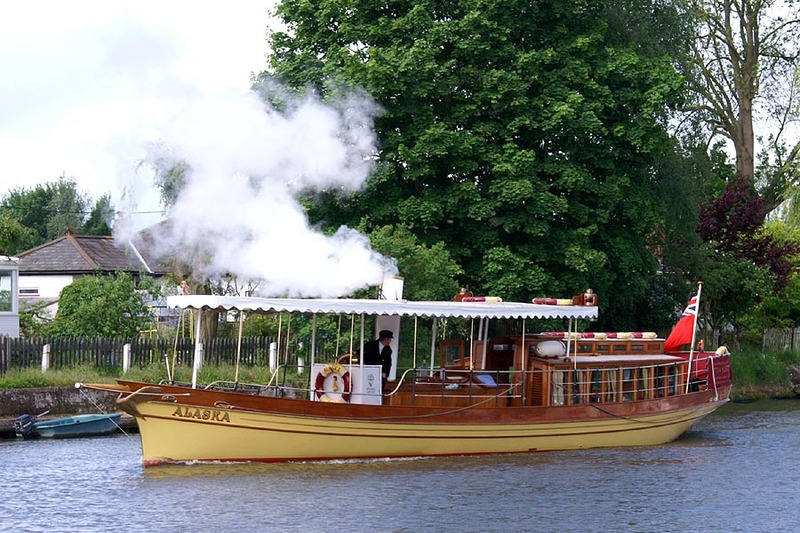 Alaska passing the Ferry at Cookham.